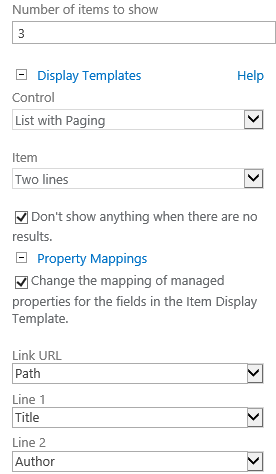 In this post, I cover the topic of exposing paging controls within the display templates used by SharePoint 2013’s Content Search Web Part (CSWP). In addition to looking at the underlying paging mechanisms used by the CSWP, I make available a couple of display templates that I created which include advanced paging support. 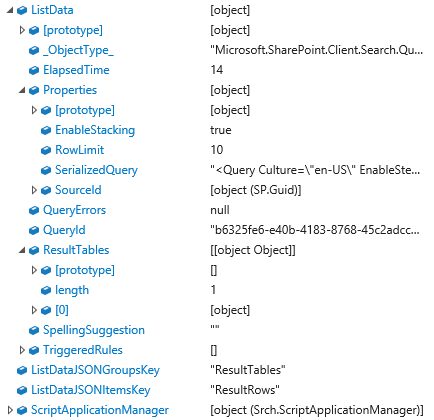 I’ve had an opportunity to play with SharePoint 2013’s Content Search Web Part (CSWP) on a number of occasions in the last couple of years, and I have to say that I like it a lot. The CSWP can be employed to address a whole host of different use cases; in fact, in many situations I’ve found that it can be used to solve problems that were previously addressable only through custom code. Before I dive into paging and how I’ve tried to stretch what can be done with the CSWP, I want to briefly examine some display template basics. Although this post isn’t intended to be a primer on the CSWP and its associated display templates, there are a few items worth reviewing. The first example below is how a CSWP showing three results might appear to an end user when the List with Paging Control template and Two lines Item template are applied. The second example (to the right of the first) differentiates which content regions on the CSWP are being driven by the List with Paging Control template (shown with green highlighting) and which are being driven by the Two lines Item template (shown in red). 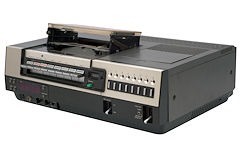 As you might have guessed from the title of this post, one functional area that seems relatively unexplored and underdeveloped (in my experience) is that of paging and how paging controls are made available to end users of the CSWP. This is unfortunate, because whenever more results are returned than can be displayed at once – a very common scenario – some form of paging is needed. Out of the box (OOTB), SharePoint 2013 comes with only a handful of Control and Item display templates that can be used with the CSWP to format your search results. Of these display templates, only one contains paging controls: the List with Paging Control template. If all you require is the basic forward/backward paging offered by the two buttons it contains, then the List with Paging display template may be adequate for your needs. Personally, I think the List with Paging template is bland and kind of … ugly. It works, sure, but it doesn’t display several pieces of information that I find important; for example, the total number of search results and the result page that the user is currently on. Worse is the fact that it doesn’t provide any sort of mechanism to jump to a specific page. The best that an end-user can do is page forward or backward one page at a time. 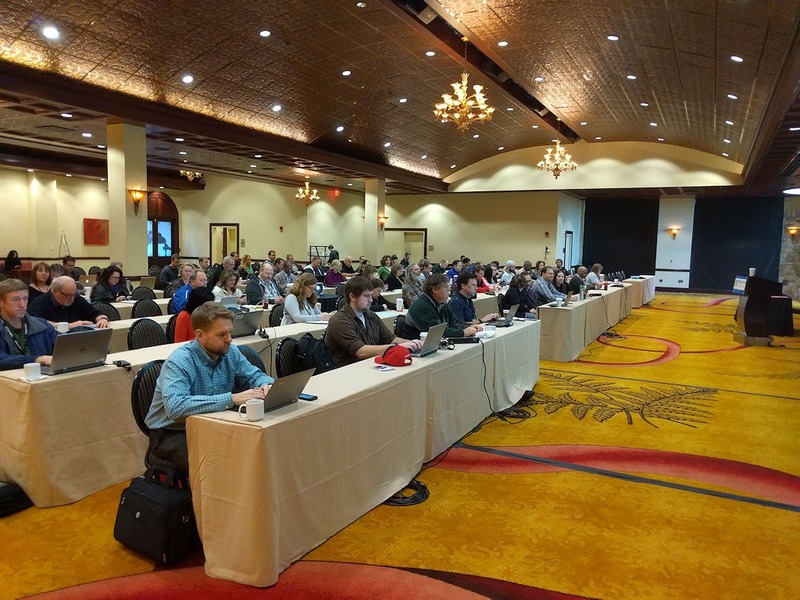 One of the talks I’ve been giving recently at various SharePoint events and conferences is titled SharePoint’s New Swiss Army Knife: The Content Search Web Part. During that talk, I demonstrate a set of CSWP display templates that I put together to generate something decidedly “non-search” in appearance – like a directory of files to which the current user has access within the current site collection. An image of that CSWP example appears on the left.
) created by Control display template. An example of the rendered HTML for the search results shown in the previous “Better Paging Support” section appears below. blocks created by the Item template has a CSS class of “sas-tablecell” for easier styling. is used to house the clickable page numbers and additional paging information seen at the bottom of the CSWP control. And like the rest of the container information, this HTML is generated within the Control template. Each time a set of search results is needed, either on initial page rendering or when the user moves to a new page, the CSWP calls back to its SharePoint site collection for the data it needs. By default, this call occurs asynchronously; however, the CSWP can be configured to make such calls synchronously within the normal page processing sequence. This JSON structure contains a lot of information – certainly more information than is being displayed by the CSWP. The trick, of course, is in figuring out exactly “what” is “where” for purposes of building a paging system. 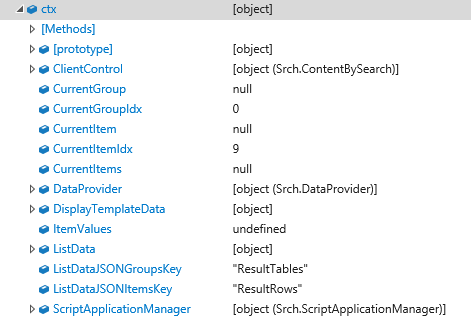 The ctx context object contains a number of useful methods, properties, and subordinate objects we can leverage in our attempts to manipulate search results and calculate paging information. We can use ctx to interact directly with the CSWP (which is accessible through the ClientControl property), as well as obtain the search results themselves (and information about them) through the ListData property. Note: Even though Microsoft’s List with Paging Control template doesn’t provide anything more than relative paging forward and backward, the CSWP does appear to support some form of more advanced paging scheme through its get_pagingInfo() method. When this method is called, it returns an object that contains expanded paging information that includes information about the current page, as well as a subset of pages before and after the current page. The object does not, however, contain all of the information needed to determine the total number of items in the search result set, how to access those pages, etc. Total number of all search results available. The totalRowCount variable is used within the Control display template scripting to store this value. And the value itself is readily available through the ctx.ListData.ResultTables.TotalRows property. Maximum number of items to display per page. This value (represented within the Control display template scripting as rowsPerPageCount) is easily obtained through the ctx.ListData.Properties.RowLimit property. It identifies the maximum number of rows that may be returned in the search results table (through ctx.ListData.ResultTables), and it is the value which should be used to determine the number of individual search results shown in the CSWP. Number of items to display on the current page. In most cases, this value (defined through the rowsOnCurrentPageCount variable within the Control display template scripting) will be the same as the maximum number of items per page. On the last page of results, though, it isn’t uncommon for there to be fewer results available than the maximum number possible. To determine how many items should be shown on the current page of search results, the script simply determines how many rows are present in the current search results table (ctx.ListData.ResultTables.RowCount). First page number for the result set. As my kids would say, “Easy peasy lemon squeezy.” This variable (firstPageNumber) always has the intuitive value of 1. This variable should not be confused with the firstPage variable that commonly appears in the OOTB display template scripting. The reference which is assigned to the firstPage variable is a PagingLink object that is meaningful within the context of the pagingInfo object returned from the call to the ctx.ClientControl.get_pagingInfo() – not the page calculations in the display templates associated with this post. Last page number for the result set. This value (represented by the lastPageNumber variable) isn’t readily available in a way that can be “plucked” out of the search data, so the display template scripting simply does a little math to calculate it: Math.ceil(totalRowCount /rowsPerPageCount). In non-code terms: the last page of the total search results set is the total number of results in the set divided by the number of results displayed per page, rounded-down. As with the firstPageNumber and firstPage variables, don’t confuse lastPageNumber with the OOTB lastPage object reference. // Generate the block that indicates current page, item counts, etc. On the server side, SharePoint translates the request for 161 (which can also be reached directly via re-post by attaching a #s=161 to the query string portion of the URL as shown above) to package-up and send down a search results table containing all of the page 17 result items. If you place the style sheet somewhere else in the site collection, ensure that the $includeCSS() calls in the SwissArmy_Control_Template.html file (line 25) and the SwissArmy_Control_Template.js file (line 164) are updated accordingly. As with all of the resources I make available, please feel free to use the display templates and style sheet I’ve provided within your own projects, either as-is or in a form that you’ve modified to suit your needs. If you do share or redistribute what I’ve provided in some form, whether or not you’ve made modifications, I simply ask that you reference the original source (i.e., me and/or this blog post) in what you’re sharing. I do believe in citing sources where appropriate. Thanks, and have fun paging through search results!